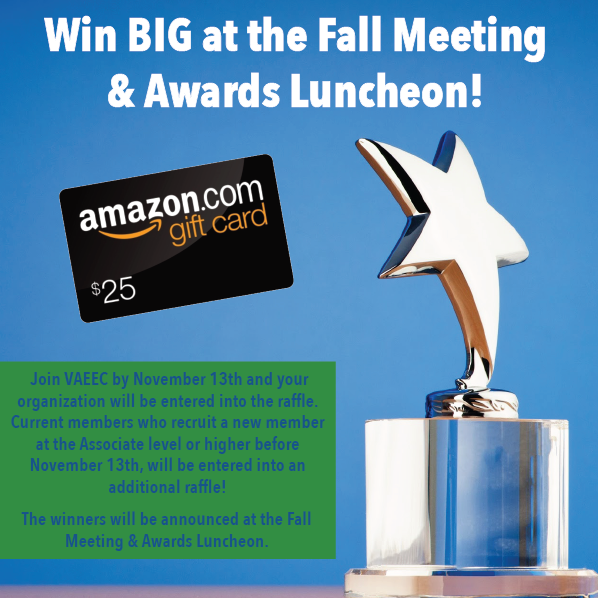 Win Big at the Fall Meeting & Awards Ceremony! 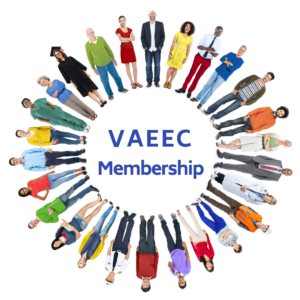 New 2018 Members: if you join VAEEC by November 13th your organization will be entered into the raffle. In order to be eligible for the raffle, the organization must have joined at an Associate Level membership or higher. This includes any organization that joined VAEEC at an Associate Level or higher since January 1, 2018! Recruiting Members: Current members who recruit a new member at the Associate level or higher before November 13th, will be entered into an additional raffle! To qualify, the new recruit must enter your name on their application under “Were you referred by a current VAEEC member?”. There is no limit to how many times you will be entered into the raffle; the more referrals, the more entries! 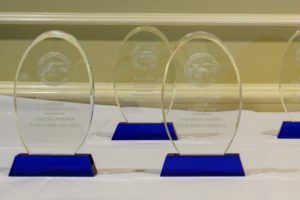 The winners will be announced at the Fall Meeting & Awards Ceremony. The event will take place on November 14th from 10:00 am to 4:30 pm at University of Richmond’s Jepson Alumni Center. Registration for this event will open on October 1st. Good luck! When looking to significantly reduce energy costs of a state facility, a state agency can enter into an energy performance-based contract with an energy performance contractor. This Energy Performance Contract, or EPC, is an agreement between a contractor or energy services company (ESCO) and a customer to meet a guaranteed level of energy savings as a condition of payment. 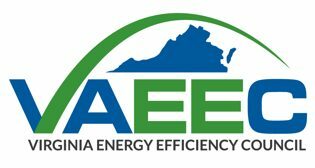 Energy Performance Contracting is generally equipment replacement that allows energy savings and installation of building control systems to control energy consumption, which is implemented by the Virginia Uniform Statewide Building Code. ESCOs provide all the labor, materials, equipment, and subcontractor management while often requiring little supervision. However, companies like DMME can serve as a trusted third party to state agencies and local governments who are considering entering into an EPC. As an added incentive, EPCs offer customers guaranteed savings. If the ESCO does not meet the guaranteed savings, they must write a check for the difference and make needed changes at their cost. Additionally, Measurement and Verification data entered by an ESCO into DOE eProjectBuilder software are made available to end users. In the fall of 2018, using the Commonwealth of Virginia’s Energy Performance Contract, the City of Virginia Beach will be seeking solicitations from experienced Energy Service Companies (ESCOs) to complete energy retrofit work. Using the City’s capital improvement funding, we are seeking a whole building approach with an emphasis on LED lighting for approximately five City facilities. Our goal is to maximize energy savings, while at the same time meet the building occupants’ requirements. This process of receiving an Energy Performance Contract has been relatively unchanged since 2001. However, now instead of only selecting four items from the list of ESCOs, state agency’s can invite all 15 pre-approved ESCOs to the “Back of the Envelope” (BOE). This change was created with the intent to start more competition and give the agencies and public bodies more choices. The newly revised Virginia ESCO pre-qualification and energy performance contract instructions provide a framework for Commonwealth agencies as well as other public entities, to help them simplify and speed the procurement of energy performance contract services and, as a result, the implementation of energy efficiency improvements. This is important, since energy performance contracting can appear to be a complicated and imposing process, even though it is one of the best ways to implement efficiency improvements both technically and financially. The VAEEC supports the use of EPCs as a way for state-owned buildings and public institutions of higher education to replace aging equipment and become more energy efficient. Since 2001, state and local governments and institutions of public higher education have invested nearly $900M in Energy Performance Contracting, enabling them to save money that can be better utilized elsewhere. The VAEEC looks forward to seeing an increase in EPCs across the Commonwealth as more public agencies and institutions decide to opt-in. Click here for a current list of Energy Service Companies and here for DMME’s Performance Contracting Support page. The new Request for Proposals for the Back of the Envelope can be viewed here. Additionally, check out our Census report to see the VAEEC’s recommendation on EPC’s! 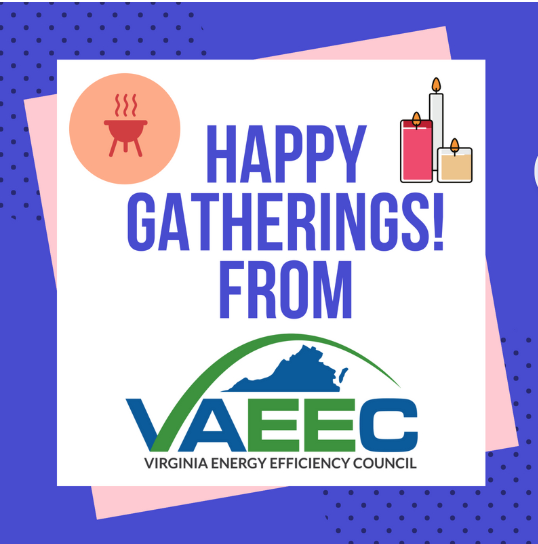 At the Virginia Energy Efficiency Council, we strive to provide our members with a platform to connect and network with one another. With a wide diversity of skills and expertise, there is no telling all of the amazing things our members can conceptualize and achieve when they come together. One example of a great collaboration that has formed within the VAEEC community is between Community Housing Partners (CHP) and Old Dominion Electric Cooperative (ODEC). 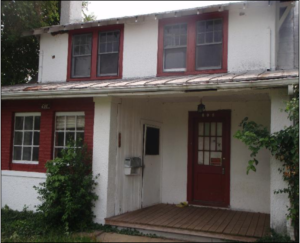 After initial conversations at our Spring 2017 Meeting, Chase Counts (CHP) connected ODEC with the state weatherization agency (DHCD), another VAEEC member, and other weatherization agencies, including fellow VAEEC-member project:Homes. “It was a happy coincidence that I happened to sit next to Catherine Powers and Erin Puryear with ODEC at the VAEEC Spring 2017 Meeting. After getting to know one another, we decided to arrange a formal meeting soon after. We realized we had shared interests in providing their member’s services and we complemented each other’s capabilities. 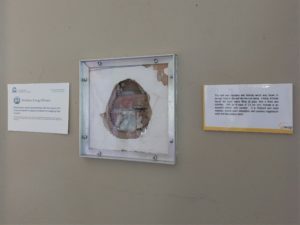 The conversations grew in scope to include other weatherization agencies in Virginia that provided services to several other ODEC member cooperatives. The VAEEC Spring Meeting definitely helped cultivate this partnership and catalyzed this pilot program,” Chase Counts told us. 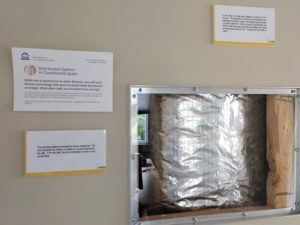 As a result, ODEC is now working with CHP and projectHomes, as well as three other Virginia agencies, to conduct an income-based weatherization pilot with five of the ODEC distribution cooperatives. This program will expand in 2019 to include the broader Virginia footprint of cooperatives and agencies. “ODEC has wanted to work with its cooperatives and member-owners for quite some time on a weatherization program, and with the introduction to DHCD through Chase, we are able to make it happen,” said Catherine Powers, VP of Forecasting and Member Services at ODEC. So what are you waiting for? Click here to learn more about our membership program and all the great benefits that come along with it! By October 1st, the State Energy Office of the Department of Mines, Minerals and Energy (DMME) must prepare an Energy Plan that covers a 10 year period and submit that plan to the Governor, the SCC Commissioners and the General Assembly. This Energy Plan is required to propose actions that are consistent with the Commonwealth’s Energy Objectives (VA. Code 67-201) including projections of energy consumption, analysis of efficient use of energy resources and conservation initiatives, analysis of whether there is a disproportionate adverse impact on economically disadvantaged or minority communities, and recommendations for legislative, regulatory, and other public and private actions. What legislative changes are needed? What regulatory changes are needed? Is there administration level action needed? Is there private activity needed? Slides from all meetings will be posted on this website and are open for public viewing. The public has until August 24th to submit comments online to the website. Program design for DMME-funded programs. The first kickoff meeting of three energy efficiency events was held on June 25th, which included a presentation by DMME on the final recommendations from the Governor’s Executive Committee on Energy efficiency (GEC) and the next steps. There was also an open discussion with the audience on additional topics for inclusion in the energy plan. During the public discussion, the VAEEC commented that in order to achieve Virginia’s 10% energy conservation target, local government programs must be included and the $1.2B spending commitment by utilities in SB 966 has the potential to make a big impact on this goal. 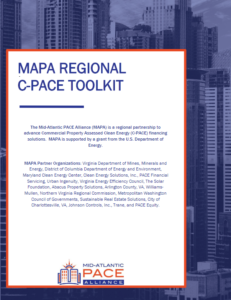 In addition, we also provided ideas for each of the other focus areas, including establishing a benchmarking program for all public buildings as a lead-by-example strategy, continuing to support the Mid-Atlantic PACE Alliance (MAPA) efforts to support localities interested in creating C-PACE financing programs, promoting the new Energy Performance Contracting guidelines and potential opportunities through the new Carbon Rule as ideas for program design for DMME-funded programs. July 18th- achieving Virginia’s 10% energy conservation target and lead by example strategies. Localities are strongly encouraged to attend. August 1st- financing and program design for DMME-funded programs. Energy Service Companies and PACE advocates are strongly encouraged to attend. Don’t miss on your opportunity to provide input on the Virginia Energy Plan. 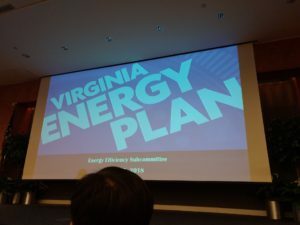 To learn more about the Virginia Energy Plan or to find details on meeting times and locations, please check the website. 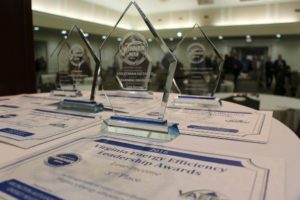 Summer has begun, which means we’re gearing up for our annual Virginia Energy Efficiency Leadership (VEEL) Awards. Held in conjunction with the VAEEC Fall 2018 Meeting, the VEEL Awards Ceremony will be held on Wednesday, November 14th at the University of Richmond’s Jepson Alumni Center. For the third year running, the awards highlight how energy efficiency champions across the Commonwealth are helping businesses, government, schools, and residents save money on energy bills while reducing energy consumption – all while stimulating Virginia’s job growth and economy. Projects or programs can be nominated for the following categories: Academic, Commercial, Government (local or state), Low-Income, and Residential. First, second, and third place will be awarded for each category. The free online awards application process opens on Monday, July 9th and goes through Wednesday, October 3rd. Nominate an acquaintance, a colleague, a role model, or yourself! The only criteria are that the project or program is based in Virginia and is reducing energy consumption. Extra points are given for innovation and creativity, the degree of difficulty in overcoming challenges, and scope of work. Click here to view the Application Scorecard. Still have questions? We have put together a Q+A guide to help you through the process. For a recap of our 2017 VEEL Awards, check out this blog post. 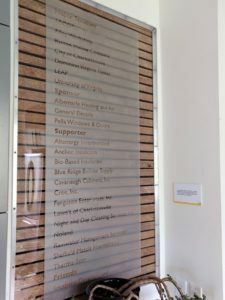 ecoRemod: The Energy House at 608 Ridge Street is home to LEAP’s main office. 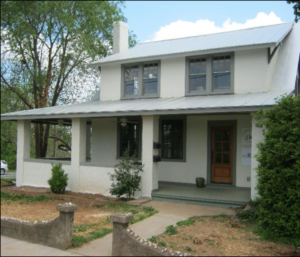 Located in a historic neighborhood and owned by the City of Charlottesville, the neglected 1920s home was transformed into an innovative energy demonstration house in 2010 through funding by the City of Charlottesville, the University of Virginia, and generous sponsors. 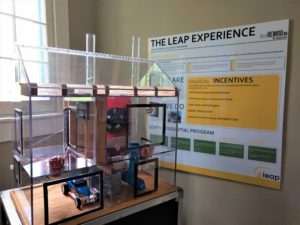 Inspired by LEAP’s mission to facilitate energy efficiency and renewables for Charlottesville residents, this project allowed the City to take the lead in showing how residential energy efficiency can be achieved by preserving a historic home and attaining close to zero net energy use. This effort to show and create residential energy efficiency has not gone unnoticed. In 2013, the ecoRemod was awarded the US Green Building Council’s Leadership Energy and Environmental Design (LEED) Platinum certification, the highest rating possible, for achievement in green homebuilding and design. See for yourself how energy and water improvements can be achieved in your home & visit the ecoRemond today! Email LEAP at info@leap-va.org or call at 434-227-4666 to set up an appointment or to schedule a tour for your school, neighborhood, office, or civic group. VAEEC is honored to have both LEAP and the City of Charlottesville as longtime, active members. We look forward to continuing to work with them to advance energy efficiency across the Commonwealth. Since the end of the General Assembly session back in March, there have been quite a few updates on utility energy efficiency programs. Some of you may have attended our spring breakout session on utility programs. 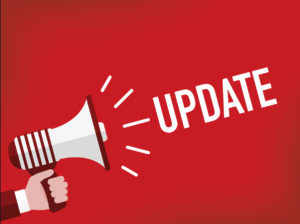 VAEEC members can get a deeper dive into these updates by visiting our Member Resources page. From there, you can read all of our blog posts during the session, in case you missed them the first time and can scan a newly-updated presentation we created just for members. If you have trouble accessing the Member Resources page, please contact our Program Coordinator, Jessica Greene Jessica@vaeec.org. If you are not a member but would like to receive this same, in-depth information, we hope you will consider joining today. 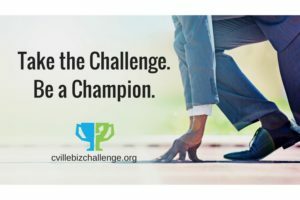 VAEEC member Charlottesville is encouraging local businesses to participate in the Charlottesville Better Buisness Challenge, being offered this year by the Charlottesville Climate Collaborative. Started by a partnership with Better World Betty and LEAP (the Local Energy Alliance Program- a VAEEC Associate Member) in 2010, the Challenge has provided Charlottesville organizations with a way to participate in a friendly competition while cutting energy costs and leaving a positive impact on their community. From local schools and businesses such as Albemarle Baking Company to national, larger brands like Whole Foods and Plow and Hearth, the Better Business Challenge is fit to serve organizations of all sizes. This Challenge is open to veterans of the green business game as well as people who may just be warming up to the idea. It provides an entry point to a fast-growing network of businesses who not only care about their bottom line but also their community impact. Last round’s 78 participants saved an average of $185,000 per year while taking 4,270 cars off the road, reducing CO2 by 1,823 tons! So, why do businesses join? Business leaders across the nation have begun to realize that when you optimize energy use and transition to renewable energy, it just makes good business sense. For example, Plow and Hearth saved over $93,000/year in electricity bills with a lighting overhaul and Virginia Eagle Distributing saved $33,000 annually after instituting recycling and installing solar panels on tractor trailers. an energy walkthrough to uncover further opportunities to save. In addition, during the last Challenge, there were 35+ positive publicity outreaches to potential customers, members, and supporters. Participant businesses also received 850,000 local audiences “touches” through social media and other channels about their actions for becoming more green. Any business, non-profit, or church located in Fluvanna, Louisa, Albemarle, Augusta, Nelson, and Greene County may register and participate in the Challenge. Click here to find out more about how to get started in the Better Business Challenge. Instead of having an afternoon gathering, have it in the early evening when the sun is starting to go down and trees have a better chance of providing natural shade. This way you can reduce the number of lights and air conditioning needed. If you’re not in the house, why use the extra electricity? If you don’t have the yard for a cookout or it just doesn’t make sense for your particular function, open your windows. The more windows open, the more a natural cross-breeze will be circulated throughout the house. If the windows alone are not satisfying, place fans in strategic locations around your house to create circulation. This will be a fraction of the cost of running the AC on full blast. Build a fire or use candles. Lighting is one of the most important aspects of having a successful gathering. Instead of spending hours hanging lights, why not use candles, tiki torches, or better yet, have a bonfire! Not only will you be saving on your energy cost, but you will sure to please your guests with a natural mosquito repellent (not to mention the surprise smores!). If you have to come in the house, glow sticks and lanterns will assist in conserving your energy, not to mention making your gathering one that all your guests will remember for years to come! Instead of sending all your guest back and forth to the fridge, put all of your drinks on ice. Use a cooler, a tube, bucket, really anything that will hold ice and drinks. This will keep the refrigerator from working overtime since the door will not be opening and closing as frequently. If you are using your oven to prepare food for your gathering, cook things in batches. Cook as much of the food as you can to ensure you are using your oven and stove for less amount of time. But the preferred method would be to cook on the grill! Nothing says summer like food fresh off the grill! We hope that these tips and tricks will help assist you in being more energy-efficient at your next gathering. Enjoy!